At the drop-in centre they examined him and said they didn’t think there was any bony injury to his back and shoulder but agreed he looked very unwell and his temperature was very high. Our GP’s surgery is next door so they called over and asked if a doctor could see him immediately. The GP was concerned so, on 22 January 2016, we were referred to Peterborough hospital and admitted. Blood tests, examinations and X-rays didn’t really assist as they all seemed pretty normal and not consistent with the child who presented in agony and looking awful. The stay in hospital was particularly distressing for Isaac. He hated it, he hated any procedure, any doctor or nurse speaking with him and was generally miserable and more and more grumpy! Not just that, but seemed to be getting more unwell. The complete opposite of his normal self. As they were struggling to diagnose, the hospital planned an ultrasound scan for 27 January 2016. Because of how distressed Isaac had become in the hospital, the doctors agreed that he should have a night in his own bed at home and return early the next day for that scan. The ultrasound scan again showed nothing wrong. His blood test results were all still normal except for a marker showing he had either an infection or inflammation that seemed to be getting worse. So an MRI was arranged for the whole of his back to try once and for all to work out what was going on. On Friday 29 January 2016 we returned to the hospital for the MRI scan. The radiographer told Isaac what would happen and Isaac decided that going into the small enclosure of the MRI machine and staying there for what was going to be about 40 minutes would be just like Tim Peake getting ready for take off to the International Space Station. The scan actually became a 1 hour 50 minute scan with the radiographer communicating with Isaac via headphones, discussing what stage of the journey he was at on his way to the space station. The scan showed that two of the vertebrae in Isaac’s spine had collapsed and his bone marrow was abnormal. 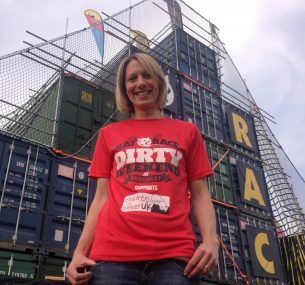 That evening as we sat on the children’s ward, a paediatric oncologist came to tell us that even though Isaac’s bloods didn’t show it, due to the abnormalities in his bone marrow, the worst-case scenario was that he could have leukaemia. Arrangements were made for us to go home for the weekend and wait to hear on Monday whether we were to go to Addenbrookes hospital in Cambridge on Tuesday. That weekend, Friday 29-Sunday 31 January 2016, was probably the saddest weekend of my life. We cried a lot. I remember Simon, my husband, went to church that Sunday morning while I nursed Isaac at home. Our vicar came round that afternoon to pray with us, and I went to church in the evening with friends. Our church family stood with us and cried with us. On 2 February 2016 we set off early for Addenbrookes hospital. Isaac had a general anaesthetic for them to do a bone marrow biopsy. And then the wait! The wait that day seemed endless. We were even admitted to the ward as the day unit we had attended was closing before the consultant was able to discuss the findings. 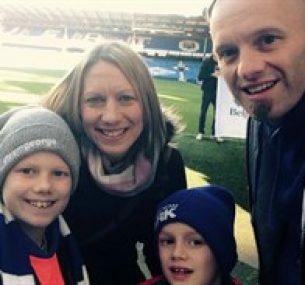 That evening we sat in a room with consultants who broke the news that Isaac had Acute Lymphoblastic Leukaemia. It didn’t actually come like a bolt from the blue as I thought it might. I think that was what happened the Friday before. Now we knew what was making him ill we just wanted to know what they were going to do about it. His treatment plan was explained, focusing on the first phase of his treatment, but informing us of the fact it would consist of five phases and would take more than three years. They came with us to tell Isaac the diagnosis and to explain it. And so the journey commenced! As we move through January 2017, every day I am mindful of the date. That is because so many of the days have very vivid memories from 2016 associated with them, as they led up to what has been our journey this last year. My son Isaac had been suffering from backache since being at the athletics track in December and it didn’t seem to be improving. He generally seemed under the weather but kept going, playing football for his team, representing his athletics club in races, and swimming. He went swimming on 20 January 2016 but had a little crash while doing backstroke and had to get out of the pool as his shoulder was so painful. It seemed like a massive overreaction from a child who was usually so easygoing and would never stop doing sport no matter how injured. We had seen the doctor and he also thought it was a pulled muscle, but was doing tests and keeping an eye on it. By Friday morning I was concerned that maybe Isaac had sustained a serious injury to his shoulder so I decided to take him to the drop-in centre at the hospital. In the meantime school called to say he had become very unwell. His shoulder and back were hurting and he looked very poorly. Isaac has completed the intensive four phases of his treatment and is now into phase 5, maintenance, which will continue until May 2019. As the dates are coming around, it is actually the days near the dates that are the memory. So it will be 31 January 2016 when I think I will find myself reflecting more on the day of diagnosis rather than 2 February. As the dates come around, I remember some details vividly, others not so clearly. But what I do remember more than all else is the way Isaac has responded to the diagnosis over the last year. He has asked questions and found it hard at times, but he has not moaned, or whinged. 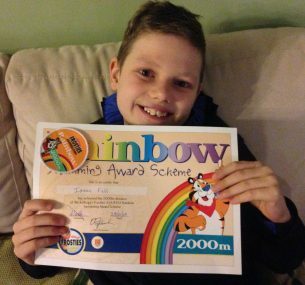 Isaac has shown remarkable courage and joy and has matured in confidence beyond his years. He speaks freely of his faith in God for his future and knowing God’s presence is with him. 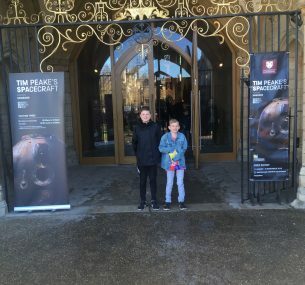 For half term we went to see Tim Peake’s space craft that is on display in Peterborough Cathedral. When Isaac was first ill and in hospital when they were trying to find out what was wrong in January 2016 before he was diagnosed he had to have an MRI scan. They expected the scan to take about 40 minutes and explained how he’d need to stay still. He told them he was going to just imagine he was Tim Peake going up to the space station. At school in December they’d watched him go into space and so he thought it was really clever that he could pretend too. During the MRI they found abnormalities to Isaac’s bone marrow and that he had a collapsed vertebrae, so the MRI ended up taking two hours. The guy doing the scan was talking to Isaac via a headset throughout and was asking him questions all about his journey to the space station and kept him distracted. As it had taken so long and Isaac had been so good, they gave him a certificate. Isaac continued to be interested in Tim Peake’s trip and was particularly excited when he came back to earth on his 10th birthday. So it was really great going to see the spacecraft today.